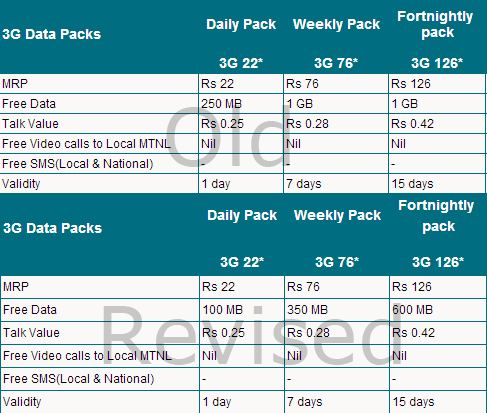 MTNL introduced special 3G data packs to give a taste of what their 3G service is like. They had introduced 3G 22, 3G 76 and 3G 126 data packs that gave a validity of a day, week and 15 days with a decent amount of free data usage – 250MB, 1GB and 1GB respectively. But it seems MTNL has now lowered the free data usage for the aforementioned plans. The revised data usage is now 100MB if you recharge 3G 22, 350MB for 3G 76 and 600MB 3G 126. We’re not sure what led MTNL to revise the plans but as a consumer, I’m disappointed. The Private Indian telecom companies are keen on expanding their geographies. We saw them inclining for deals in South Africa, Nepal, Sri Lanka etc. Now, the public based telecom operators too are seen to be interested in foreign territories. Mahanagar Telephone Nigam Ltd operating in the Indian regions of Mumbai and Delhi has expressed interest to buy a stake in Zambian telecom firm Zamtel. “We have signed the non-disclosure agreement,” MTNL Chairman R.S.P. Sinha said. State-run Zamtel is the leading telecom operator in Zambia. The company provides a modern Internet service through Zamtel On-line and is Zambia’s only licensed fixed-line provider of voice and data communications. The state plans to sell up to 75 per cent in it as part of a privatisation drive. Zamtel’s revenue for the year ended December 2008 were $100 million. MTNL Mumbai has kicked off a promotional offer for their existing GSM subscribers. Trump and Dolphin users can now have the benefit to try out the 3G service in Mumbai before taking the plunge. 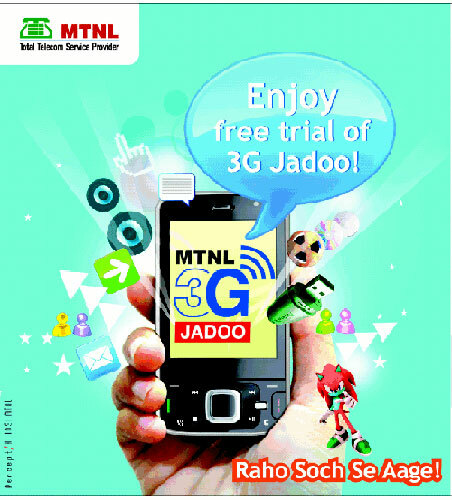 Starting from today till Sep 30, a user activating the promotional offer will be offered to try out the 3G service wherein there will be free unlimited video calls within MTNL network but accessing internet will be charged at 50p/100KB. Users can activate the service by sending an SMS “FREE 3G” to 444 (Trump) or 555 (Dolphin). After the trial period has ended, if a user wishes to continue with the service, he can send the following SMS “ACT 3G” to 444 (Trump) or 555 (Dolphin) and receive a waiver of a one-time activation charge of Rs. 300. MTNL Mumbai estimates to cover the whole Mumbai with 3G network by the end of November 2009. 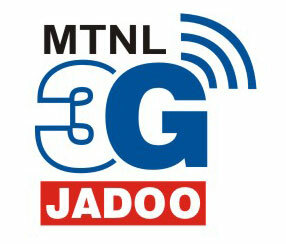 In a bid to promote MTNL’s 3G Jadoo service, they have teamed up Micromax to launch H360 3G equipped device. For a price of Rs. 5,499, users will be able to take advantage of 3G services offered by MTNL like watching live television, video conferencing and connect to various websites at improved speeds. MTNL Mumbai has reinitiated its Loyalty Program with a new bait for the existing customers. 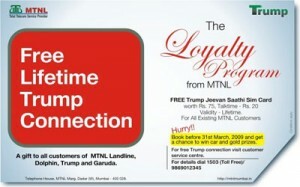 Existing Trump/Dolphin/landline users can now avail a free Lifetime Trump prepaid connection. The free card will give a talktime of Rs. 20 along with the lifetime validity. The user can get a free connection by submitting the prerequisite documents at MTNL Area Service Centres only. Now that MTNL too has launched Blackberry services along with 3G, here is a quick look at the plans the public operator is offering its users. 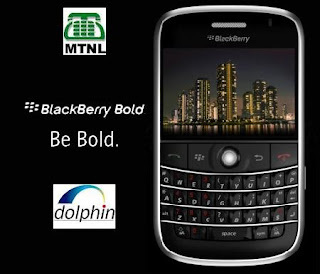 TeleGyaan recently brought you a post on BSNL coming out with Blackberry services in April. Now it’s the other public operators turn to offer the same. Yes, MTNL announced the launch of Blackberry services in Delhi yesterday. The service will be made available through MTNL’s postpaid arm – Dolphin. We Say: Reiterating the fact, the two public operators will have an edge over other players as they will be offering the Blackberry service along with 3G to users. However, it solely depends on the plans being offered by MTNL and BSNL. State owned MTNL had plans to span its wings all across India for which it had submitted a proposal to the DoT. However, the Telecom body turned down this proposal. MTNL has its operations in Mumbai and Delhi and BSNL, the other state owned telco has its foothold all across India except these two circles. The ministry would not like to see two state run players fighting it out in the same circle, which is why the decision could have been taken. However, ailing MTNL says that the decision will not affect its business much. This might not be the case as Mumbai and Delhi are among the most saturated circles. The operator says that it would like to further strengthen its foothold in the two markets. MTNL officially becomes the first operator in India to launch commercial 3G services in the Delhi region. However, having the first mover advantage, MTNL is trying to cash in by setting the price a bit higher that would deprive many to enjoy the 3G advantages. Remember, 3G network operates on a totally different band and provides faster data speeds as well as good voice quality. MTNL announced the commercial launch of the 3G services in Delhi. This would happen in a period of 10 days – around the end of the month. However, Mumbai users would have to wait for a couple of weeks till they get the same. It’s Mumbai launch is currently planned in the first week of February.